/ Should you be taking supplements? or are they a waste of money…. Flashback to the years 2011 – 2014 is spent many a pretty penny learning from world renowned strength coaches Charles Poliquin, Phil Richards alongside functional medicine doctors such as Dr Brian Walsh, Dr Mark Hyman and other notables in the functional medicine world. I was learning how the thyroid worked, how to improve gut flora and microbiota which blood markers gave more information about the clients health and performance…. But then early last year…. I completely stopped recommending supplements to clients to help them improve their body composition. Because what i was finding was this. Talking about advanced and technical stuff is pretty pointless without a proper nutritional plan and training system in place. and it’s even more pointless without considering that life, your mindset, your commitment and your work will often throw many more curve balls than i could catch them and fix them. So now when a client asks whether they should be taking supplements i ask whether they’ve got everything in place consistently before going on to say this. Fat loss supplements don’t work. Weight loss supplements don’t work. Though there always the basics that i would recommend to anyone if you’re *not* getting enough from food. Omega 3 Fatty Acids are an essential fatty acid that the body MUST get from foods such as mackerel, salmon, sardines and small amounts in some nuts and seeds. Omega 3’s are important because they are an integral part of cell membranes throughout the body and affect the function of the cell receptors in these membranes. Every cell in your body requires Omega 3 Fatty Acids! The average U.K. is typically low in Omega 3 Fatty Acids but high in Omega 6 Fatty Acids with a balance of 1:1 or 1:3 ratio of these fatty acids is considered very important to health. 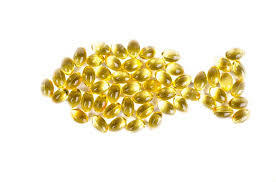 According to examine.com (the independent supplement scientific review site) fish oils have been show in research to improve both triglycerides and markers of depression in double blind clinical trials. Aim to consume at least 1g of fish oil daily or make the bulk of your fattier proteins from fish to achieve the health benefits of Omega 3’s! 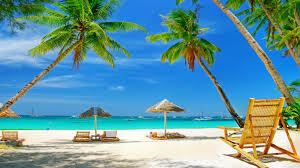 Vitamin D is a fat soluble vitamin that is essential for human life which we should obtain from natural sunlight. Only problem is that in the U.K. for us to achieve the exposure of UV light from the sun to the level required we would have to somehow move the U.K. closer to the equator which is impossible! or live on a beach year round. Most people only associate Vitamin D with improving bone health and preventing rickets, but this important vitamin does way more than that! Holland and Barrett wouldn’t want you to know this but on the bed of research available, your health starts and end with what you eat and the lifestyle that you live. Supplements are simply the cherry on top of the icing on top of the top layer on top of the cake. And most of the supplements in stores are poor quality or don’t have a huge amount of scientific study behind them if at all. or of course get into better shape by hiring someone who knows what they’re doing when it comes to helping busy people like you get into the shape of their life without resorting to fads, supplements or god knows what else.